More than just informational pieces! 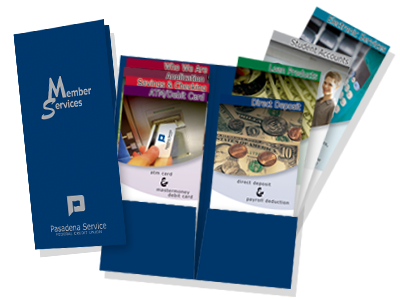 Wow your members with a beautiful brochure series. We will work with you to match your credit union's branding. 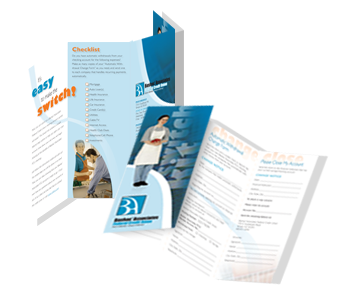 Brochures can be produced in the standard 7x8.5 bi-fold, letter tri-fold, or legal double-half or roll folds. 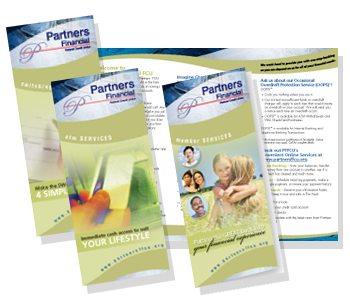 We can also produce custom sized brochures, folders with tiered inserts, stitched booklets with pockets and more!